Otherborn is a refreshing dystopian novel that takes readers on a journey of heart stopping action, cute romances and an unsolved mystery. 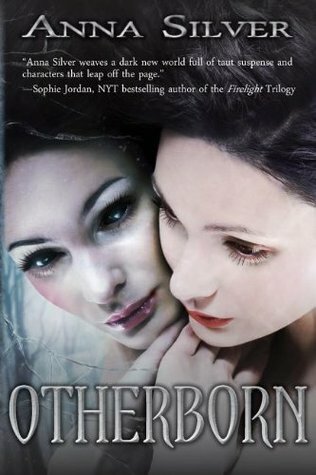 I had many thoughts about Otherborn, while there were so many great contributing factors to this read, I could help but notice a few holes here and there. When I found out this this was a dustopian novel, I freaked out. It is a risk inside itself when an indie author writes dystopian as so many things can go wrong in aspects of world building, plot lines and characterisation. I must admit, that Otherborn was a winner! Anna has some of the greatest writing skills that I’ve ever come across, she described scenes so realistically I could feel myself living in that wrecked dystopian world. In a dark world where no one dreams or is not allowed to create or conjure anything New, something happens to London against all odds. She dreams. And her band of friends start to dream too, they dream of themselves, though slightly altered in a alternate world and uncover somethings that they’d never expect. They must act, to save their world from this twisted era. The characters of this book were one of the strongest points. From the beginning when we got introduced to London, I knew she wasn’t going to be a whiny girl complaining pointless about how the world was so unfair. London is a capable, focused female protagonist that wound the book tight. While at times her feelings because rather intrusive and too childish, cough. Romance. Cough. Cough. She was a well created main character that lead beautifully. Many books have habits on droning on and on when the story commences- trust me. It’s VERY boring to read but Otherborn, gladly, shoots right into the juicy plot. Contrary to this, that meant info dumping and too-many-characters-introduced-at-once. Bleh. I really suffered from a mind frazzle at the beginning abut soon, once the story adjusted and my brain adjusted all was well. Otherborn was a creepily fun read that kept me intrigued from the first page onwards once my brain adjusted. I recommend to people who are thirsty for some new and original dystopian stories. You should, it was so worth it! Thanks for a candid and honest review, Melanie! And for the comps on my writing! Hope you pick up a copy, Kirsty! Dystopian? I’m IN! And gorge. review hon! Excellently written review Mel, I am thoroughly intriguied by Otherborn. Now thinking of getting this for my kindle now. Thanks for sharing!